- WWE posted this video of Mike Rome in Phoenix for tonight's RAW as the Elimination Chamber participants (John Cena, Elias, Roman Reigns, Finn Balor, Seth Rollins, Braun Strowman, WWE Intercontinental Champion The Miz) arriving for the Gauntlet Match. Rollins says he's worked his way into the Chamber match and now he's ready to win the Gauntlet. Below is the rest of Rollins' backstage RAW interview. Rollins says the Gauntlet is just one more chance to show the world that he's the best. Rollins also mentions being saddled with Jason Jordan and wanting to break out on his own. Rollins says he's tired of being underappreciated but he's going to make it to WrestleMania 34. 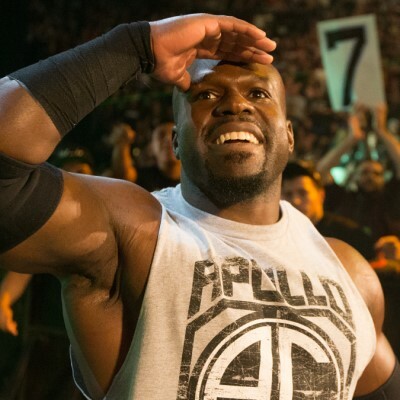 - Apollo Crews is apparently following in the footsteps of Elias (Samson), Big E (Langston), (Antonio) Cesaro and (Alexander) Rusev by having part of his name dropped. His bio at WWE.com now simply reads "Apollo" (h/t to Uproxx). His Twitter name is also now just Apollo, although his handle is still @ApolloCrews.